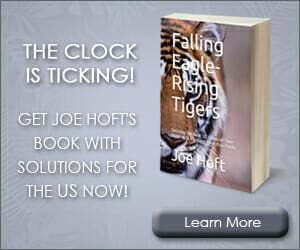 On Sunday over 200 NFL players knelt during the US national anthem on Gold Star Mothers Day. 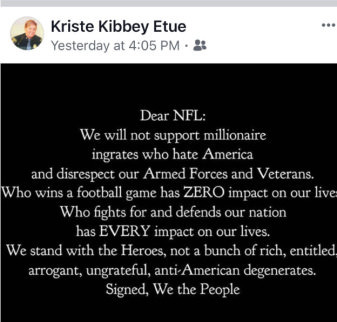 Police Chief Kriste Kibbey Etue defended her protest post on Tuesday. Chief Kibbey apologized for defending the military and US flag. 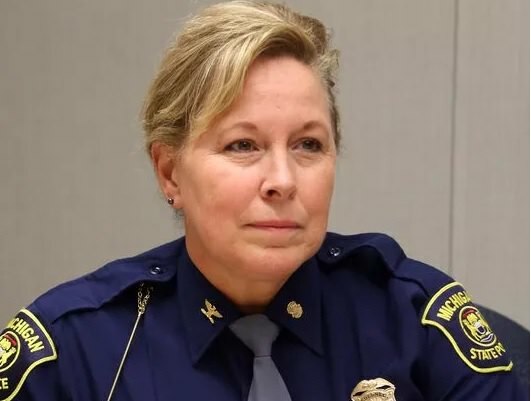 Michigan Black Caucus lawmakers are demanding Police Chief Kibbey resign after she defended the US military and Old Glory.